Early today, KWMU Radio featured an interview with Sarah Shelton, a researcher with the Center for Tobacco Policy Research at Washington University in St. Louis. Ms. Shelton pronounced 2011 a good year “overall” for non-smokers, a statement with which I agree. That view is to be expected, since the impact on business of smoke-free air laws has become the dominant theme of those attacking such laws, even though their aim is primarily to protect the public health and welfare, providing all employees with a healthier work environment, and removing unfair discrimination affecting those who are highly smoke-sensitive. Below is the original article and following that Mr. Hannegan’s response, to which I’ve added some comments. Sarah Shelton, a data analyst with the Center for Tobacco Policy Research at Washington University in St. Louis, says “overall” it’s been a good year for non-smokers in the St. Louis area. Smoking bans were implemented in several areas in St. Louis in 2011, including in the city and county. She spoke to St. Louis Public Radio’s Julie Bierach as part of our series “A Good Year” that, overall, it’s been a good year for non-smokers. How important are smoking bans to safeguarding public health? Smoke-free laws really are essential to protecting the public’s health. Secondhand smoke exposure has been linked with cancer, heart disease, respiratory illnesses of all different kinds in non-smokers, and it’s considered the leading cause of indoor air pollution. Comprehensive smoke-free policies protect the public from all the toxins that are in secondhand smoke. One of the things in particular that is a good outcome of smoke-free policies is a reduction in heart attacks, which is important because heart attacks are the leading cause of death in the United States. According to an Institute for Medicine report, there is a causal relationship between exposure to secondhand smoke and increase risk of coronary heart disease among both men and women. That same report also concluded that there is a causal association between smoke-free laws and decreases in heart attacks in the communities where those laws are implemented. Smoke-free policies also encourage smokers to quit and also prevent kids from even starting. How active has the Center for Tobacco Policy Research been in lobbying for these bans, encouraging municipalities to ban smoking in public places? As a Center, our main purpose is to do research and evaluation around the topic. We don’t necessarily go out and advocate or lobby for a particular ordinance or particular laws that are up for adoption. I imagine that as someone who analyzes the data and researches tobacco use you would say there is more to be done? Absolutely. The laws that went into effect in January in the county and city are not comprehensive. They do exclude fair amounts of people from being protected from secondhand smoke, in particular, at casinos and bars. So there are people who visit casinos and bars, who work in casinos and bars for long hours, day after day, who are currently not protected by those policies. And there are a few municipalities within St. Louis County, in particular, that have gone above and beyond over the past year. Brentwood and Creve Coeur both passed strong, comprehensive policies that are stronger than the county ordinance. Do you think that as the months go by and it becomes more evident how smoking bans impact businesses, do you think more municipalities and counties will take the initiative and not be so afraid to ban smoking? Absolutely. Last year Clayton implemented a strong comprehensive smoke-free policy and they’ve been very vocal about how it has not impacted business. In fact, some business owners and community members believe that it has brought more business into their area. So, as we see more examples of where the sky does not fall, then I think people will be more and more likely to move forward with it. Brentwood and Creve Coeur implementing these strong policies is in line with what’s happening throughout the rest of the state as well. In the past year, Jefferson City, O’Fallon, and Raleigh have all passed strong comprehensive smoke-free laws as well. I read your interview with Sarah Shelton this morning. I would like to point out that Ms. Shelton failed to mention that the new smoking ban in O’Fallon Missouri has already proven pretty catastrophic for O’Fallon small businesses. This business loss in O’Fallon in part caused the St. Charles County Council to reject any smoking ban that does not exempt “over 21” businesses. No doubt this O’Fallon business loss will also make any extension of the St. Louis County smoking ban less likely. 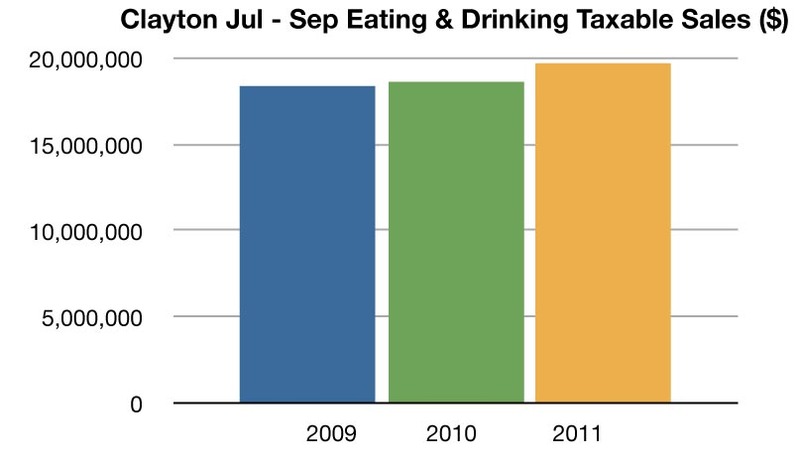 Clayton’s smoking ban was put forward in the interview by Ms. Shelton as a financial success, yet Clayton restaurant revenues went flat after the imposition of the ban, despite the reopening of Highway 40. [mogasp comment: Clayton’s smoke-free air ordinance took effect in mid-July 2009. Reviewing the actual tax data for 2009 thru 2011 gives a different picture from the one painted by Mr. Hannegan. Sales receipts for Easting & Drinking Establishments were up by a modest 1.5% for 2010 compared to 2009, but then jumped by 7.6% for 2011 when compared to 2009. Ms. Shelton suggested that smoking bans cut heart attack rates in communities that impose them. But even St. Louis smoking ban activist Martin Pion has called this claim into question on his blog. Later research has shown that heart attack rates are as likely to rise as to fall immediately after the start of a smoking ban. Please find key studies concerning this issue attached. 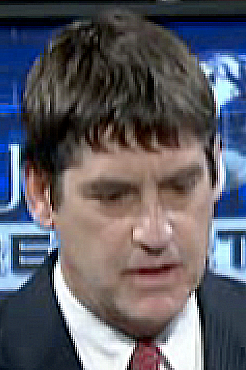 [mogasp comment: Mr. Hannegan is doing some cherry picking here. He’s correct that this influential Tuscany study found no immediate reduction in heart attacks during the first year after smoke-free air laws went into effect. Finally, the CDC sent over seven million dollars to St. Louis County in hopes of seeing public smoking restrictions greatly extended by the end of 2011. Ms. Shelton is correct that Brentwood and Creve Couer extended their bans to include bars and private clubs. But this amounted to only four establishments being added to the existing County ban. We were able to persuade Beth Kistner and the Creve Coeur City Council to exempt existing private clubs. $7,000 is a .4 percent increase, one that didn’t even keep up with inflation, despite the reopening of Highway 40.
mogasp comment: I appreciate your providing the original source for the numbers you quoted but they’re evidently wrong. However, I’ll pursue this if time allows to make sure I’m not missing anything. Why are you or Mr. Cowan cherry-picking 3 month periods? Why not compare the revenues from full years? mogasp reply: Firstly, we don’t have a full year’s worth of revenue to compare for 2011: the last quarter is not reported yet. Secondly, the result was similar for other quarters. I’ve pasted the full data at the bottom of the original blog post for reference. MoGASP, your Clayton tax stats are for 581 establishments, but only 20 Clayton restaurants allowed smoking prior to the ban. Clayton only has 80 restaurants total. What gives? mogasp comment: Try to enjoy New Year’s Eve …. and don’t jump to conclusions! Oops- Shouldn’t revenue be alot higher since a keg of beer went from $80 to $93 in the time period? All liquor and bottled beer had huge increases in cost. I always find the cherry picking interesting when they leave out the increases in the price of the product to the retailer, and the resulting increase in the price to the consumer. Seems to me to just stay even, the government should be reporting at least a 10% increase. $80 to $93 is a 20% increase, isn’t it?